There have been situations where folks started cycling their tanks and then the cycling process was interrupted for some reason. Perhaps you interrupted the cycle due to premature cleaning of the tank and/or changing of some filters or water? Or, you went out of town for a few days and the tank wasn’t receiving any food and therefore the beneficial bacteria starved and left you with a zero population? Whatever the reason, you now got back on track and finished cycling the tank. Yay! Now you finally have a zero reading for ammonia and nitrite! Great! So, you order some new jellyfish and they go bad after a few days? What is going on? You did what you were supposed to and cycled your tank. 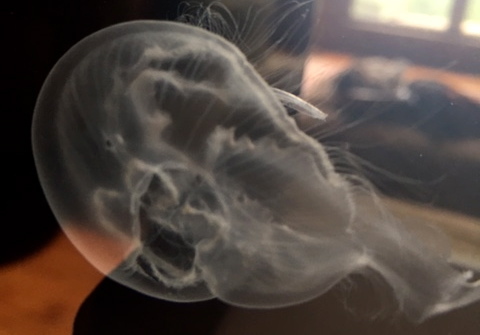 Why are your new jellyfish so sad? Read on…. If you have already interrupted the cycling process, then you need to do a few more steps before your system is safe for jellyfish. Your nitrate & phosphate levels have skyrocketed because you have prolonged the normal 4-6 week cycling process & no substantial water changes have taken place. (Remember, after your system cycles, you are supposed to do a 20% water change and then get on a weekly maintenance schedule where at least 10% of the water is being exchanged every 7 days) But, because your system didn’t cycle in a timely fashion, your nitrates and phosphates are very high–toxic. Again, although it is great that you no longer have any ammonia or nitrite in your system, your nitrates and phosphates are through the roof because you haven’t changed out any water! You may be experiencing cloudy water because of these high levels (cloudy water can also be caused by a bacterial bloom). Cloudy water due to high nitrates & phosphates from a prolonged cycle. These high levels will cause your new jellyfish to shrink and/or fall apart. Nitrates can be removed by exchanging the old water out with new saltwater. There are some liquid drops available on the market now that will remove the phosphates, Ultralife and Phosphate Rx, but you still need to attend to those high nitrates. Best thing to do is to conduct a 20% water change every other day until your nitrates drop from 80+ppm to under 40ppm but only if your system is already fully cycled and your nitrates are over 80ppm. I know this seems extreme, but once it’s done, you’re good! Water chemistry is an art, but if you have a system that has a fully functional mechanical, chemical and biological filter in place, it will do the job for you over time once you get it balanced and eliminate those nitrate and phosphate levels that have built up over an extended period of time (over 8 weeks) while you were waiting for your system to biologically cycle. 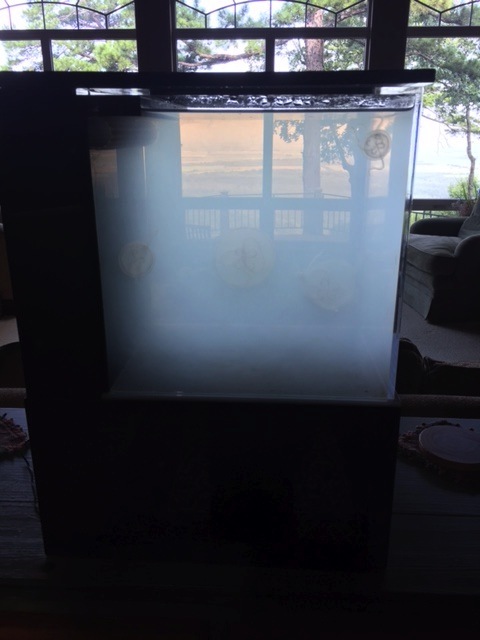 Moon Jellyfish repairing himself after a toxic round of high nitrates and phosphates. Holes are repaired in the bell and he’s become whole again. So, to recap, if you had an extremely long period of cycling (over 8 weeks), then you need to test your nitrate and phosphate levels. If you are getting readings of 80+ppm for nitrate and/or 2.0+ppm for phosphate, you need to conduct several water changes over a week to bring them into range. You want to achieve levels of under 40ppm for nitrate and under 0.5ppm for phosphate. If you need some assistance with this process, please email us @ moonjellyfish.com@gmail.com and we’ll help you through it. It’s just some water changes…no big deal, really. Hang in there…you’re almost home free! Once you correct the water chemistry, your jellies will instantly start repairing themselves and get back to a healthy state. Next Way To Go, St. Louis Zoo! No, I never got an answer. I think Jellyfish just aren’t something that should be kept. They don’t fare well in captivity at all. I did everything I was told, from daily water changes to raising live brine shrimp, feeding them twice a day, then three times a day, and they just shrank into oblivion. I’ve spoken with several marine hobbyists and aquarium curators in the area, and they pretty much all say the same thing. Water chemistry is near impossible to keep within required parameters, especially if you have one of those cute little round tanks. Daily water changes IS necessary, and even then, you’ll experience spikes in nitrates. Even with daily water changes, my nitrate readings remained around 60ppm. I had the added problem of leaving them over the weekend (they were at my office), on Mondays, I’d return to find the Nitrate reading at 120ppm. They all died. I won’t get any more. Just way too high maintenance. Good luck with yours. 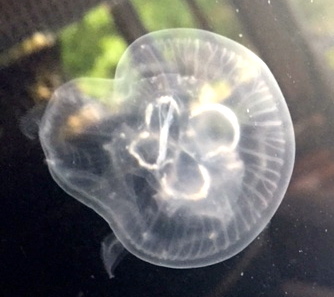 Mara, with jellyfish, you are safe with nitrates under 40ppm. Hello Mara, as long as your system is fully cycled and established, you can do 20% water changes daily until your nitrates come down. How high are they right now? Oh that is good to know! They were continuing to rise from 40 to 80ppm last week even while I was performing ever-other-day 25% water changes. I decided to leave them alone for 5 days to sort themselves out a bit. Yesterday I did a 50% water change and after that the nitrates were just above 40. Should I continue with every-other-day 25% water changes until my nitrates stabilize? At what value can I consider them stable enough that I can back off to once a week water changes? I’d like to add that I’ve been performing weekly 20% water changes, along with monthly 50% water changes. Nitrates seem unaffected with that regimen. Reducing feeding hasn’t produced any notable differences either. I use distilled water and Instant Ocean salt for my water. No nitrates in the freshly mixed water. How many water changes can safely be performed in a week? If I have a healthy level of nitrifying bacteria, will massive water changes disrupt that? My nitrates are thru the roof, but ammonia and nitrites are at 0. My jellies are just beginning to show some sign of shrinkage/deterioration and I’d really like to save them.